Prezentare Help pre-schoolers develop their skills in three key first concepts with this fun activity book that includes over 500 fantastic stickers. 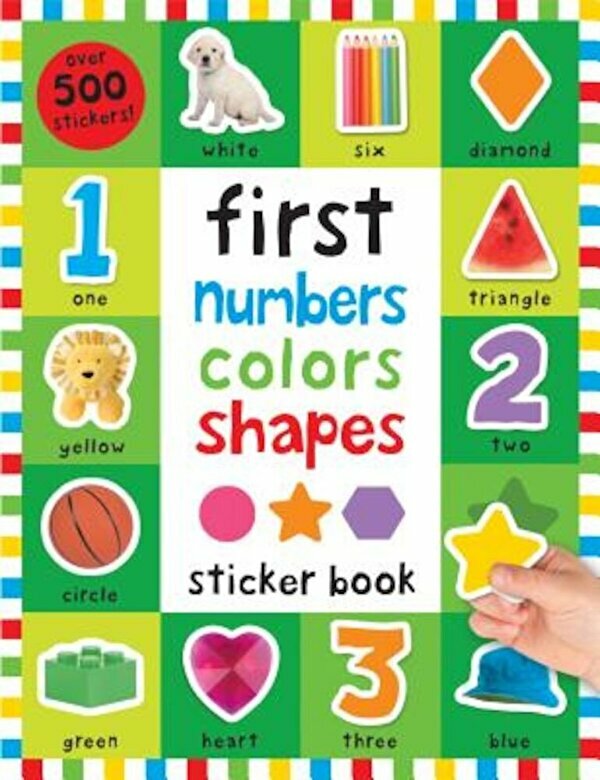 With counting and numbers, colors, and shapes to learn, each busy page features familiar, everyday words and pictures, and learning becomes interactive as children look for, find, and match the correct stickers to the correct spaces. A great way for children to build vocabulary and develop hand-eye coordination skills.